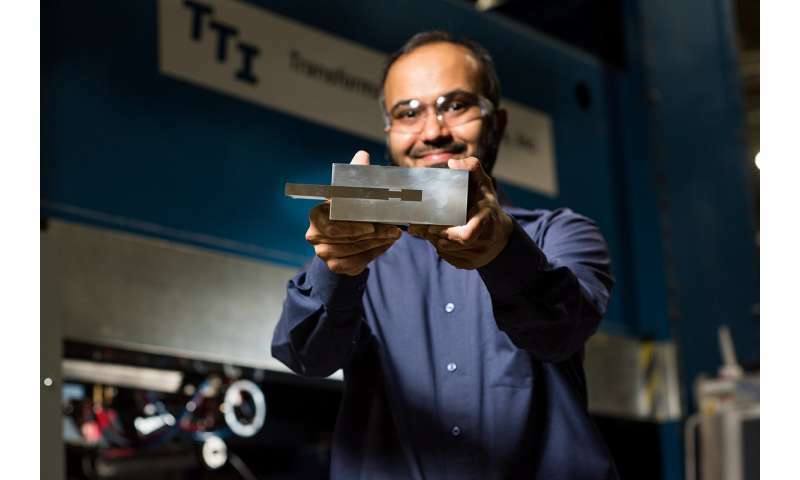 Researchers at Pacific Northwest National Laboratory have developed and successfully tested a novel process - called Friction Stir Dovetailing - that joins thick plates of aluminum to steel. The new process will be used to make lighter-weight military vehicles that are more agile and fuel efficient. To lower fuel costs and increase operational effectiveness while still maintaining the safety of military personnel, the U.S. Army Tank Automotive Research Development and Engineering Center - or TARDEC - launched a campaign in 2014 seeking ways to make combat systems - such as tanks, fighting vehicles, and personnel carriers - more lightweight. One approach they are investigating is the replacement of heavy steel components with thicker, yet lighter, aluminum. But aluminum and steel cannot be welded together due to vastly different melting points, so they sought a new process to join these materials. TARDEC joined forces with PNNL - which had previously developed unique material joining techniques for the automotive industry - to develop Friction Stir Dovetailing. 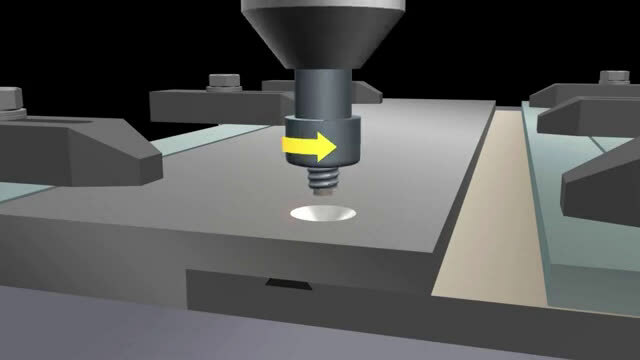 These previous techniques included Friction Stir Welding to join similar metals of differing thickness, and Friction Stir Scribe, which joins thin sheets of significantly different materials, like aluminum and steel. While Friction Stir Scribe solved the challenge of joining thin sheets of aluminum with steel, that technique was found to not scale up to the thick plates of aluminum - measured in inches - needed for robust military vehicles. In woodworking, dovetails and glue are used to securely join pieces of wood together. Friction Stir Dovetailing is a similar approach for metals. Using a specially designed tool, aluminum is deformed into a steel dovetail groove to form a mechanical interlock. At the same time, the tool rubs along the bottom of the dovetail to form a thin metallurgical bond - or intermetallic compound - which "glues" the metals together within the dovetail. The research team discovered that using complex machine controls to precisely regulate temperature and pressure at the aluminum-steel interface inhibited growth of intermetallic compounds. These compounds grow thick and non-uniformly during the other friction stir techniques, causing joint brittleness and failure. However, growth of intermetallic compounds - iron aluminide or Fe3Al - during the Friction Stir Dovetailing technique is beneficial to the joint because they are so thin, one thousand times thinner than a human hair, which acts as "glue" without causing embrittlement. 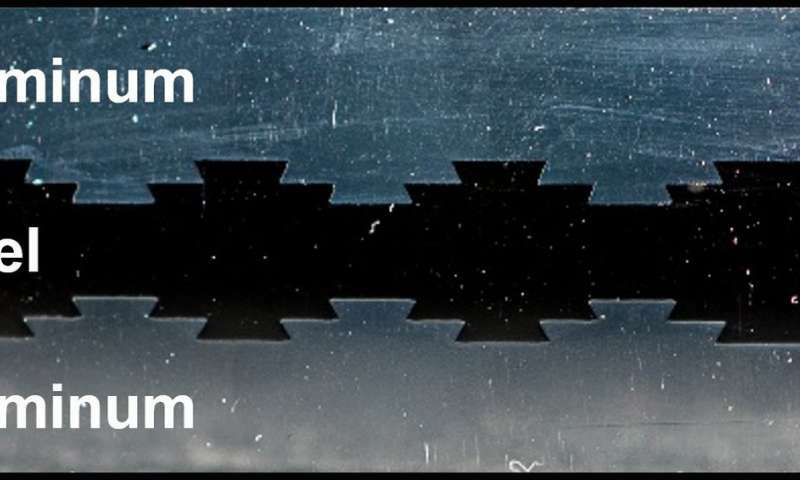 Lab testing of joints made by Friction Stir Dovetailing showed that when combining metallurgical bonding with the dovetail configuration, the joint strength is not only superior, but the material can stretch to over a half centimeter before the joint breaks - illustrating five times more ductility than aluminum and steel joined with other friction stir techniques. This allows the joint to "give" or move farther before breakage - an attractive feature for military combat vehicles.